I read this article and found it very interesting, thought it might be something for you. The article is called Dark Air Cured Fronto Leaf [ALO] and is located at https://www.frontoleaf.com/fronto-leaf/dark-air-cured-fronto-leaf-alo/. 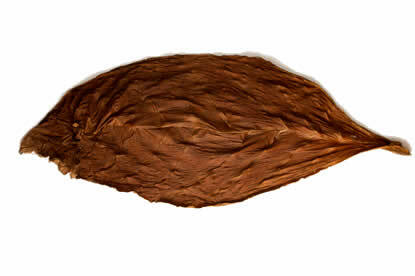 Dark Air Cured Fronto [ALO] is most often used as binder or filler for making cigars, but is also hugely popular as a ‘grabba leaf’. These DAC fronto leaves were grown in America and are very similar to Dark Air Cured Fronto (GR), except they are a slightly lower ‘wrapper grade’. 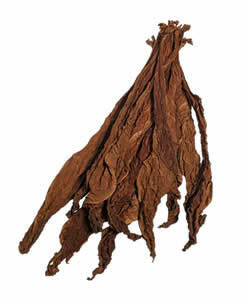 These fronto leaves in particular are the preferred leaf for use ‘Grabba Leaf’ around the Caribbean islands and Jamaica. If you were to compare these leaves to the Dark Air Cured [CLO], they would be smaller, darker and thicker. 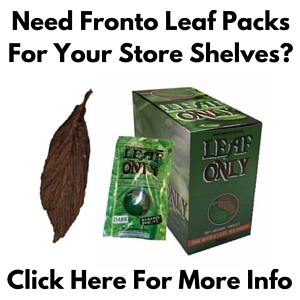 Fronto leaf can often be found for sale at convenience stores in metropolitan areas. 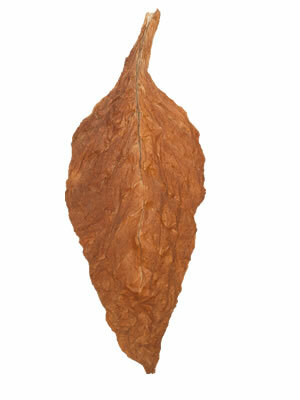 Whole leaf tobacco and fronto is enjoyed by various world cultures and regions around the world. 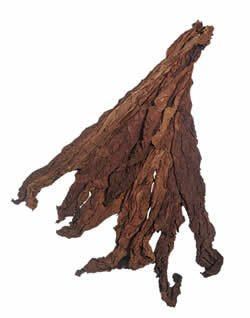 These dark air cured tobacco leaves are of particularly high quality and are very similar to fronto leaves sold in the Caribbean. Dark Air Cured Fronto [ALO] a mild chocolate, but freshly green scent matching it’s natural aesthetic. These fronto leaves are thick, easy to use, and are excellent for “roll your own” tobacco. Fronto leaf is also known as ‘grabba leaf’, which is typically known for it’s strong and bold smoke qualities. This tobacco leaf is thick and strong yet it still burns evenly, tastes smooth and produces a clean ash. 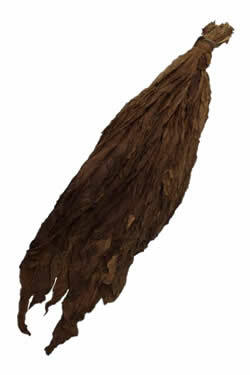 Dark Air Cured Fronto is definitely for tobacco enthusiasts with an acquired taste over the years. You should try it out, you may be one of these enthusiasts!
. * Dark Air Cured Fronto is unrefined, meaning that some leaves may have imperfections like holes, torn areas and / or discolorations. Your whole leaf tobacco should always arrive fresh, but it helps to have some idea of how to handle it once you receive it. Learn everything you need to know by watching our complete video tutorial about Handling & Storage of Whole Leaf Tobacco.